This boxing bag is a great option to a traditional bag if you want a little more weight. Extra weight in the bag helps you develop a harder punch as you must generate more power to move the bag. If you pack a really mean punch, this 100 pound bag will not come flying back at you. Give it all you've got and it comes back for more making this one of my all time favorite picks. The best thing about this bag is that it is a UFC product and you can't get any better quality than UFC. It is made in the USA, which I like as well. It is 30 percent larger than the traditional bag. 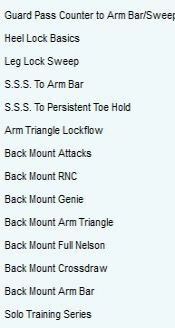 This means more striking areas. If you are training with full body strikes and heavy blows (and you should be), this bag is my recommendation for you. It has 260 square inches so you have a great striking and kicking area in which to work. The camo bag is made of a vinyl laminated polyurethane shell, while the black/red bag is constructed of a vinyl embossed shell. It is 14” in diameter and stands 52” tall. You'll get a great full body work out with the bag. I do recommend this bag as UFC is of the highest quality. Your bag will ship no later than 48 hours after ordering and often the same day if it is before 2:00 PM. Expect your UFC bag within 2-5 business days. It ships from Oklahoma, UPS. 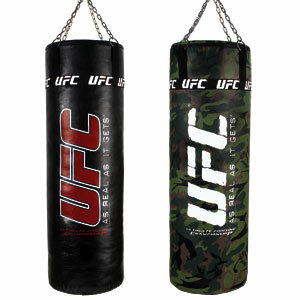 So now that you have your UFC boxing bag you'll want some MMA skills to train with. Brian and Brandon from Damage Control have trained guys who have fought in events such as Bogdog, UFC and IFL. 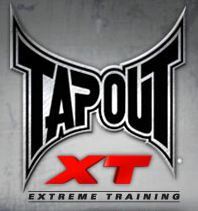 I highly recommend checking out their on-line MMA training. Just taking a look at their website teaches you some awesome moves. 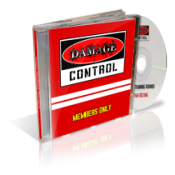 You can read what those guys who train with them have to say here-Damage Control: MMA Training.